The cast for Guillermo Del Toro’s Scary Stories to Tell in the Dark has been revealed. The cast, along with some minor plot details, were detailed on the eve of principal photography. The movie features Michael Garza (Wayward Pines, The Hunger Games: Mockingjay – Part 1), Austin Abrams (Brad’s Status, The Americans), Gabriel Rush (Moonrise Kingdom, The Grand Budapest Hotel), Austin Zajur (Fist Fight, Kidding), and Natalie Ganhorn (Make it Pop, Wet Burn). They all join the previously announced Zoe Colletti. Based on the bestselling book trilogy by Alvin Schwartz, the movie follows a group of teens who have to discover the reason behind a series of horrific deaths happening in their small town. The books were originally published from 1981 to 1991 and features terrifying stories that draw heavily from folklore and urban legends. The movie started filming last week. When it was announced ABC would move forward on a Roseanne spinoff without Roseanne Barr, many wondered how her absence would be handled. Apparently, she will be killed off. During an interview with The Sunday Times, John Goodman confirmed that Barr’s character will be killed off in the upcoming spinoff The Conners. ABC has not confirmed how Barr will be written off the show. The network canceled the Roseanne revival after her racist tweet about Valerie Jarrett. Barr has no financial or creative involvement with the new series. The Conners will star the rest of the Roseanne revival cast. Along with Goodman as Dan, Laurie Metcalf (“Jackie”), Sara Gilbert (“Darlene”), Lecy Goranson (“Becky”) and Michael Fishman (“D.J.”) will reprise their characters. Baldwin later told Variety “I’m no longer doing that movie. I’m sure there are 25 guys who can play that part.” He cited scheduling issues as the reason behind his departure, but rumor says he may have been unhappy about the Trump influence. He took to Twitter saying Thomas Wayne would not be inspired by Trump. Directed by Todd Phillips, Joker stars Joaquin Phoenix as The Joker, Zazie Beetz, as a single mother who enraptures the Prince of Crime, and Robert DeNiro, who plays a talk show host somehow instrumental to the Joker’s origin. The movie, set to start filming in September, opens in theaters October 4, 2019. This is only one of the many Joker films in production. Others include Suicide Squad 2, a standalone Joker film starring Jared Leto, and a Harley Quinn movie. Turns out those rumors were true. Mr. Robot, the hit USA series starring Rami Malek, Christian Slater, and Joey Badass, will end after its fourth season. The new season, which was announced last year, was originally set to have eight episodes, but it has since been expanded to wrap with 12 episodes. According to series creator, Sam Esmail, the series was never meant to run on for long as he revealed in an interview last year. The final season of Mr. Robot premieres in 2019. The series first aired June 2015 and has since become a critically acclaimed show. It has earned numerous awards and nominations, including a 2016 Emmy for Outstanding Lead Actor in a Drama series. Rick and Morty co-creator Justin Roiland has a new animated show coming to Hulu. 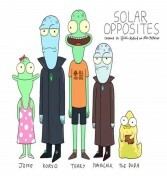 Solar Opposites. Co-created with executive producer Mike McMahan, follows a family of aliens stranded in the middle of America while they try to figure out if their new home is better or worse than the extraterrestrial world they escaped from. The series has already received a two season commitment totaling in sixteen episodes from the streaming service. 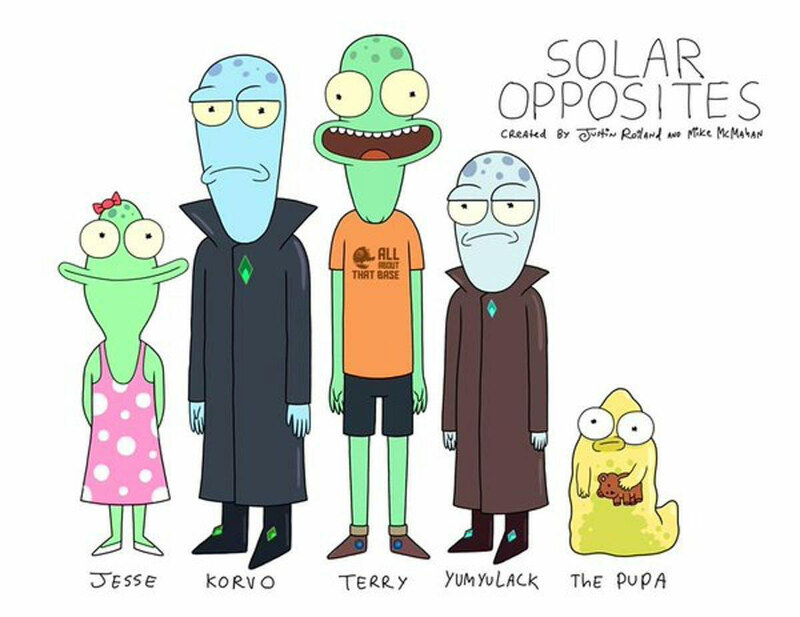 Though Roiland and McMahan will be working on Solar Opposites, they will continue to maintain their respective roles with Ricky and Morty. The hit Adult Swim series officially started production for its fourth season back in June after receiving a massive 70-episode order from the network in May. Solar Opposites stars Roiland, Sean Giambrone, and Mary Mack. The animated series is produced by Fox and is expected to premiere on Hulu sometime in 2020.